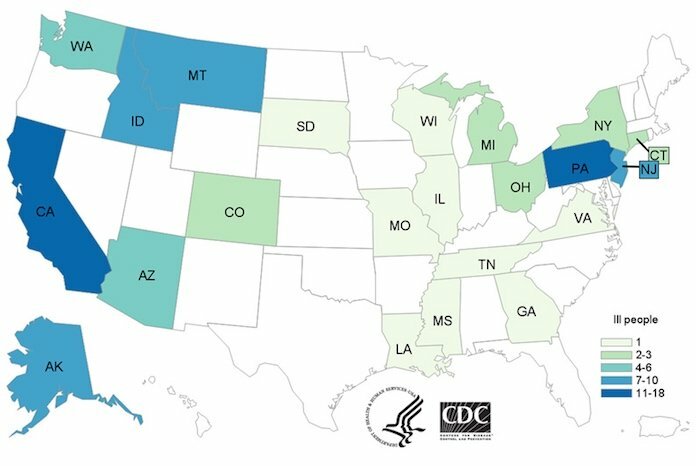 Lawsuits have been filed, as the multistate outbreak of E. coli O157:H7 HUS infection linked to romaine lettuce from the Yuma, Arizona growing region has grown to include 98 sick. Three more states have reported ill persons: Mississippi, Tennessee, and Wisconsin. This entry was posted in E.coli O157, E.coli O157:H7, food bourne outbreak, Food Hygiene, Food Illness, Food Inspections, Food Microbiology, Food Microbiology Blog, Food Poisoning, food recall, Food Safety, Food Safety Alert, Food Testing, Food Toxin, foodborne outbreak, foodbourne outbreak, outbreak, Uncategorized. Bookmark the permalink.